I feel like this is the year of fashion for me, not sure if it's the changes in my life or maybe the crazy weather, either way I am loving adding pieces to my closet, trying new styles & updating my wardrobe! With that being said, if I wasn't in love with pink before, I am head over heals for it now. I feel like I just glow when I wear pink, it's one color that I think looks great on me & I was so excited when I found out Mozo Shoes would be arriving at my door, I couldn't wait to try on these adorable shoes! At Mozo Shoes you will find a variety of men & women shoes, including wedges, casual flats, even shoes in leather are available. 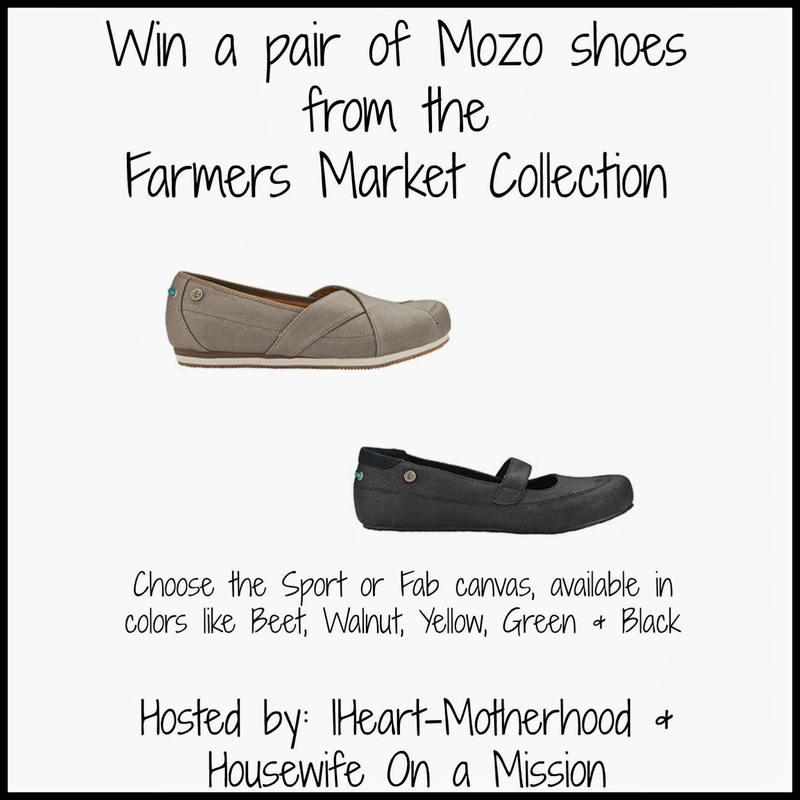 I love the Farmers Market Collection at Mozo Shoes & as soon as I spotted the Sport Canvas, I knew I had to have them in the "Beet" color! The Sport Canvas is available in colors like Beet, Black, Walnut & Green, these casual flats are bright, comfy & fit true to size. From running errands to working in the yard or around the house, I have been wearing these since the day they arrived & I can't get over how comfortable they are! Featuring a waxed canvas upper for water resistance, a mid-sole cushioning for extra comfort, even a slip resistant out-sole & a quilted padded lining make these lightweight shoes the perfect, must-have flats for women! So what do you think? Would you wear these? Buy it: The Sport & Fab Canvas shoes is available online at Mozo Shoes, the Fab is priced at $70 & the Sport is $85. Win it: One lucky reader will win a pair of Sport or Fab Canvas shoes from Mozo Shoes in your choice of color! I like the brown sport canvas shoes. They look comfy! the fab canvas shoes are super cute too! The Fresco wedge is super cute! Thanks! I like their Fab - Leather in Black. I also like the Fresco Brown Leather Wedges. Sport Leather looks pretty nice, too, and wearable to work with a variety of slacks! Fab Canvas in green would really be cute.